by Eugen Rosenstock-Huessy, as Speech and Reality. 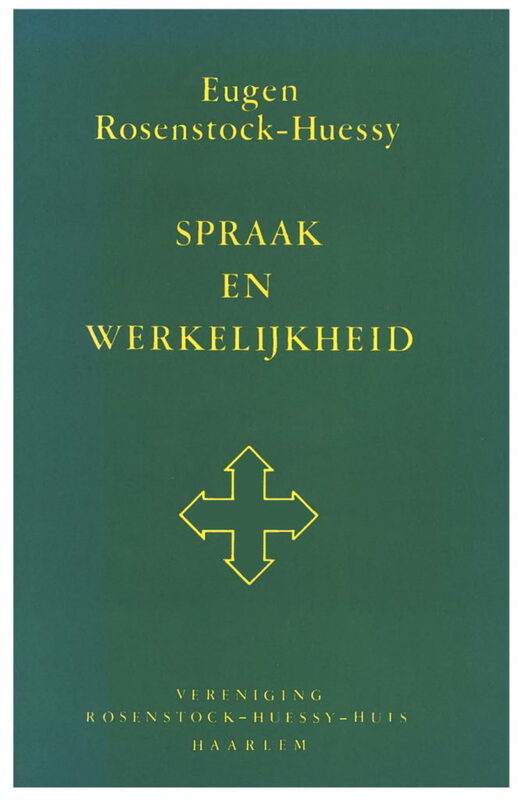 Translated from the English by Elias Voet. Vereniging Rosenstock-Huessy Huis, Haarlem, The Netherlands, 1978. Paperback, 155 pages.